The death toll rises. In the devastating California Wildfires, The fast-moving flames ravaging America's entertainment capital, has destroyed the homes of many celebrities that live in the state. A shocking number of celebrity homes were affected by the blaze. In the south, the Woolsey Fire has swept across luxury beach resorts including Malibu - where Miley Cyrus, Robin Thicke and Caitlyn Jenner reside. Moving at astonishing speeds that enable it to come upon victims swiftly, the fires have spread out its fiery destruction. The blazer has raged through northern and southern California and celebrities have shared their distress at losing their homes to the blaze including actor Gerard Butler and singer and actress Lady Gaga. 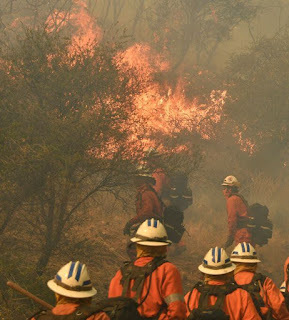 Having to to pack and flee her home within an hour, Kim Kardashian also revealed she was forced to from her home by the fire that has left at least 31 people dead and destroyed thousands of homes so far. The shocked A-listers are overwhelmed by their loss. In less than two days, more than 250,000 people, including the entire city of Malibu, which is home to some of Hollywood's biggest celebrities , had responded to evacuation orders. Almost his entire Malibu Home was razed. 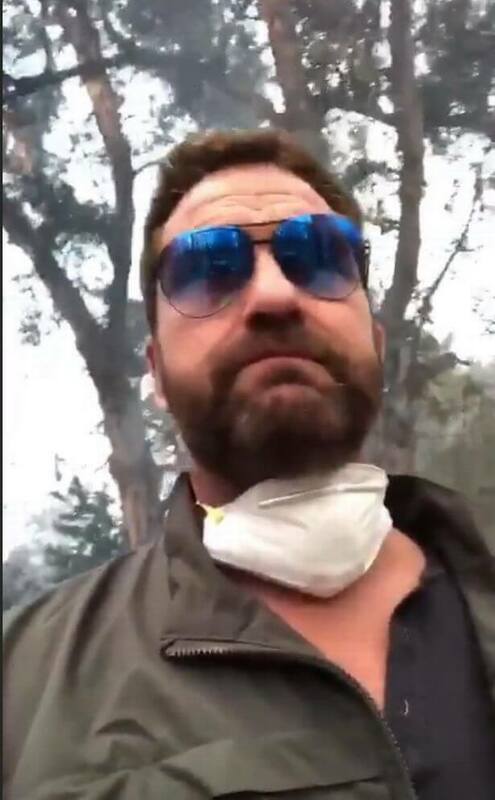 Gerard Butler has revealed his heartbreak at finding the charred remains of his home that was ravaged by the California wildfires. He was rescued earlier when the fires started their speedy advance. The Scottish actor had been one of those evacuated to safety when the blaze spread across Los Angeles this week. Letting the fans know the extent of damage done. Gerald updated followers on social media as he returned to find half of his house and his truck destroyed by the fire. "Heartbreaking time across California. Inspired as ever by the courage, spirit and sacrifice of firefighters," he wrote. Miley Cyrus has been left saddened but relieved, after her home was burned down in the wildfires raging in California. The 25 year old US pop star, revealed her property was one of thousands destroyed as the death toll across the state stands at 31 and appears certain to rise. No lives lost to the singer. Cyrus, who is engaged to the Australian actor Liam Hemsworth, said her animals and "love of my life" made it out safely. Other Celebs like Robin Thicke and Lady Gaga also lost their homes to the fire.